Customers today hold all of the purchasing power. A customer can head to Google and instantly access pages upon pages of information about an item they want to purchase — and discover competitors in the process. For this reason, companies need to go above and beyond to attract customers and win their attention. 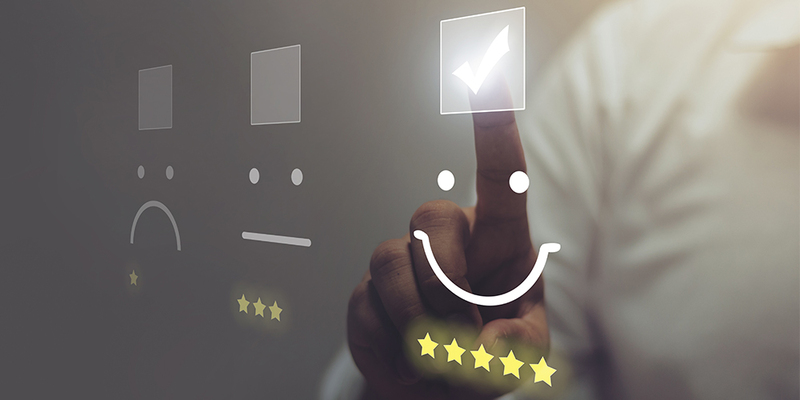 We’re living in the age of the customer experience (CX), where 79 percent of consumers will only consider brands that show they understand and care about them. Fifty-five percent or more will actually pay more for a guaranteed positive experience when shopping. The holiday season is when brands with strong CX strategies truly shine, while those with poor CX strategies fall by the wayside. Now is when it’s critical to make sure that you have customer-centric solutions in place to drive holiday sales. The on-hold experience remains a top CX pain point for businesses today. Far too many companies force their customers to wait on hold and listen to aggravating outdated elevator music. This irritates customers and leads to abandonment. The best solution is to reduce on-hold queues by leveraging a system which can scale automatically to your call volumes. But if this is not a possibility, another option is to customize your queues with modern music, interspersed with marketing messages or educational content. Customers today want a mix of self-service options (such as a knowledge base reference and live chat), as well as instant access to live agents when they are needed. Don’t force the customer to take one approach or the other — offer a mix of services, and let the customer decide how they want to interact. The customer should never have to struggle to reach a representative. Always make sure that agents can be accessed by pressing 0 on the keypad. You can also reduce hold times by offering a callback option, or providing near instantaneous access to a live agent from inside of your app. Your company most likely has a wealth of consumer data to draw from. But how well are you using this data? Consider integrating your CRM solution with your customer databases, so that your sales, support, and marketing employees can have a clearer picture of who they are interacting with. Three years ago, omnichannel support was a game-changer. Today, it’s a basic necessity — and something that many brands are still not offering. Omnichannel service involves enabling seamless, integrated service across all channels including desktops, mobile devices, the internet, and the phone. A customer should be able to switch channels without losing any momentum. If they start interacting with you via live chat but then need to make a call, ensure their experience is a seamless continuation of the conversation, and reduce chances of customer burnout or abandonment because their needs aren’t being met. Global brands should consider adding additional support in widely used languages such as Mandarin, Spanish, and French. Consider this: Customers that cannot receive assistance over the phone in their native language are liable to head to the open internet to look for answers. And once a customer heads to the internet, he or she will be immediately be targeted by ads and pulled in by competitors. With so much happening in your company this time of year, and stress running high, consider scaling back on lengthy, in-person meetings. Instead, use video conferencing to check in with employees and make sure they are on track. You will save time, and your workers will appreciate the gesture. This will in turn boost productivity, and give workers more time to dedicate to customer service. Cybercriminals will be out in full force again this holiday season, looking for vulnerabilities that they can exploit to steal sensitive information. The contact center is one of the most heavily targeted areas of the enterprise for cybercrime, as a breach can lead to troves of data. Have a meeting and tell your agents to be on the lookout for fraudsters who may be trying to impersonate customers over the phone or online. You may also want to consider enforcing extra authentication tools this time of the year. Nothing is worse for customer service than a data breach. Related: Is Your Contact Center Stuck In The Past? What would happen if an unexpected winter storm were to roll in tomorrow and damage your facility? Would your business be able to continue communicating with its customers? Round up your IT team and figure out what business continuity solutions you have in place. It’s not too late to start backing up your files or to invest in third-party communications services that can kick into gear if needed. If you’re using VoIP, for instance, make sure you have analog phone lines that can be instantly accessed. Is your network capable of handling the extra strain of the holiday season? Perform a network stress test to ensure that your critical applications have the resources they need to function properly across all of your branch locations. If your network is vulnerable, it could be time to consider integrating SD-WAN capabilities to handle the extra traffic your networks will be experiencing this season.